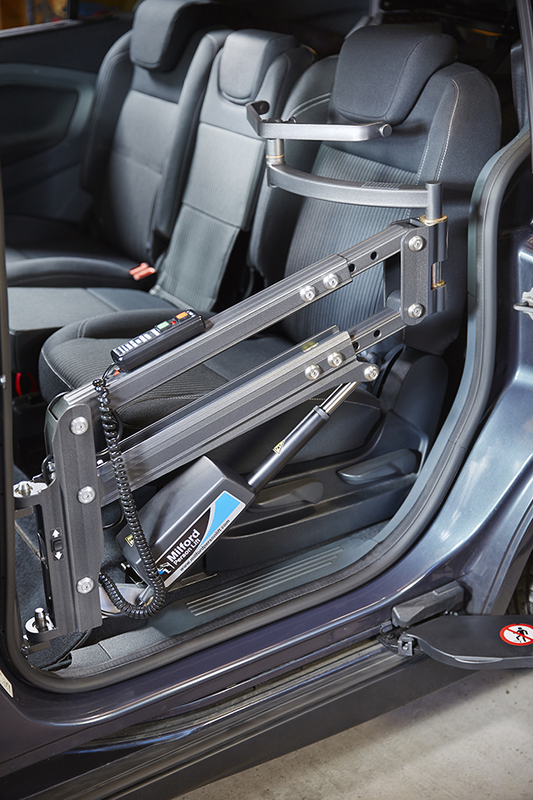 We offer a number of solutions including wheelchair or scooter hoists and lifts, designed especially for the loading and unloading of mobility aids to and from your vehicle for easy stowage and transport. 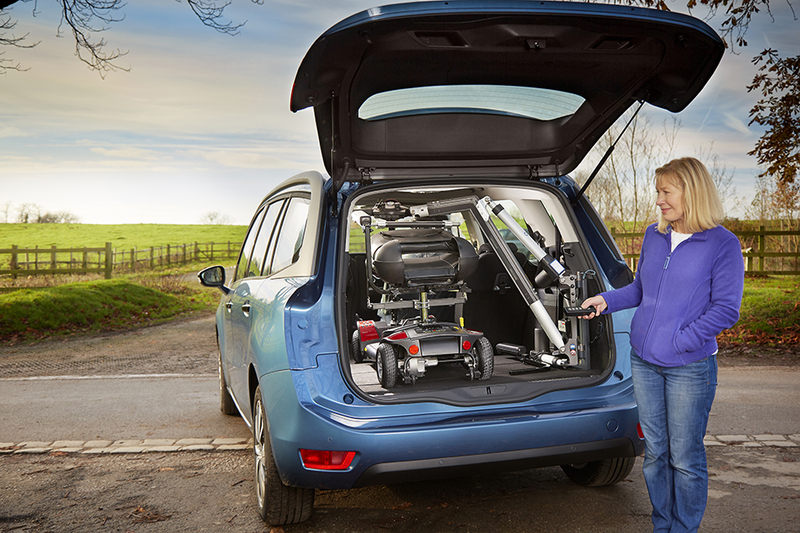 These are available under Motability or private purchase. The Smart Lifter is a wheelchair, scooter and powerchair hoist. Its powerful lifting capacity enables drivers to transport some of the biggest and largest scooters on the market. 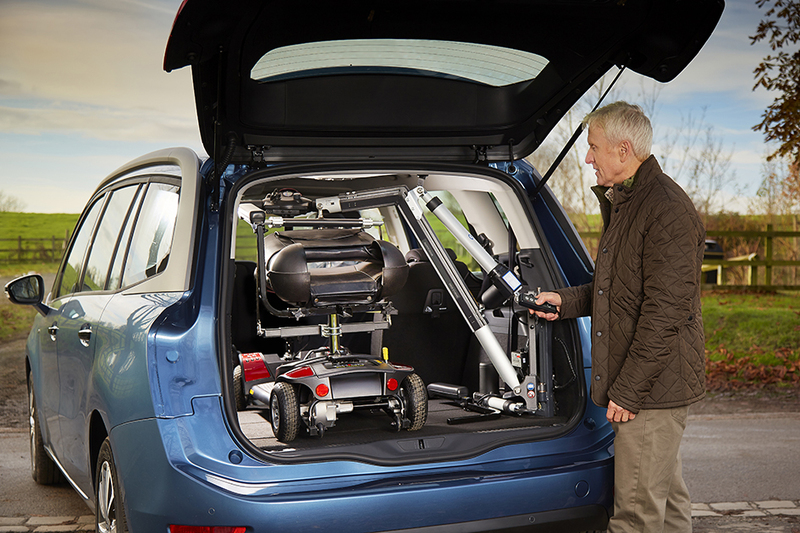 The Smart Lifter is capable of lifting wheelchairs, scooters and powerchairs weighing up to 200kg! 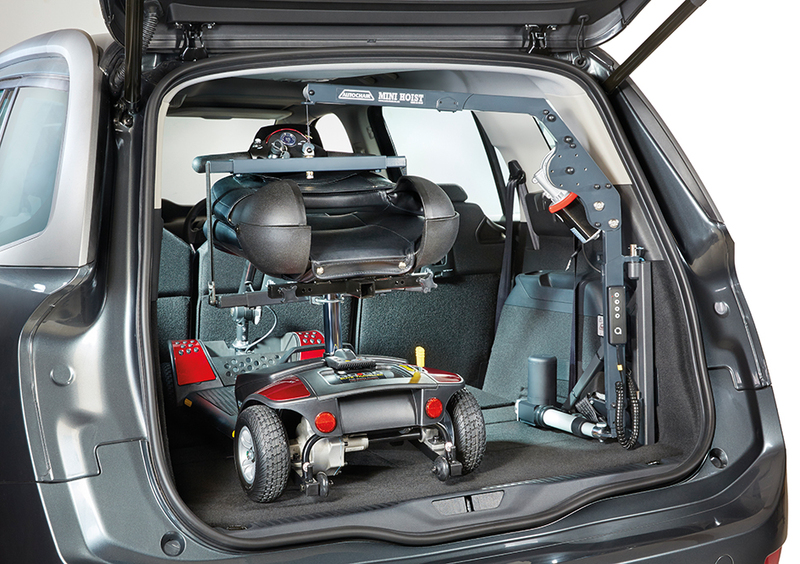 And thanks to its advanced engineering and superb design, The Smart Lifter hoist is capable of lifting all types of wheelchair, scooter or powerchair effortlessly into the back of your vehicle at the touch of a button -yet can be easily detached to save valuable space in the boot. Why choose the Smart Transfer? The Smart Transfer is strong, lightweight and versatile, so it is ideal for varying levels and types of disability, comes with different sling sizes and can lift up to 23-and-a-half stone. It can be fitted into almost any vehicle, whether it has three doors or five, and can be used in the home, on holiday or in the office. Why choose a person hoist? 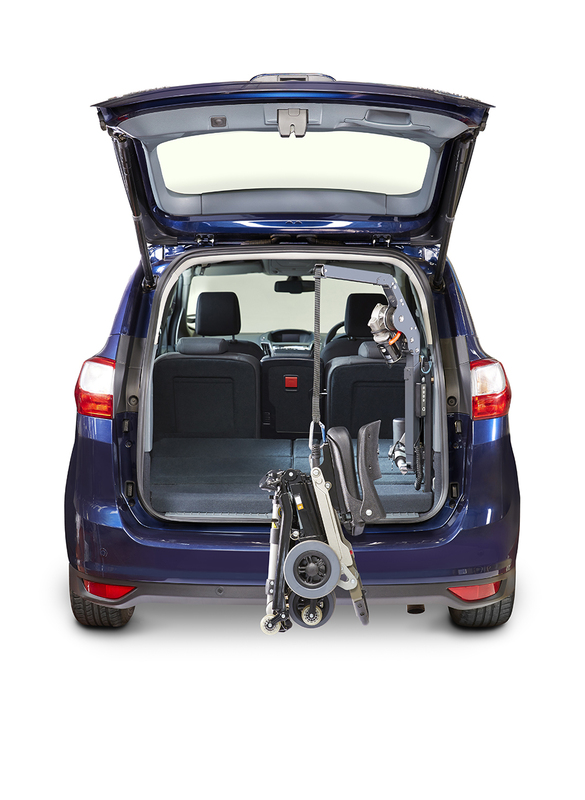 If you have little or no mobility in your legs but want to continue to enjoy travelling in a regular car seat then a Smart Transfer is a perfect solution. 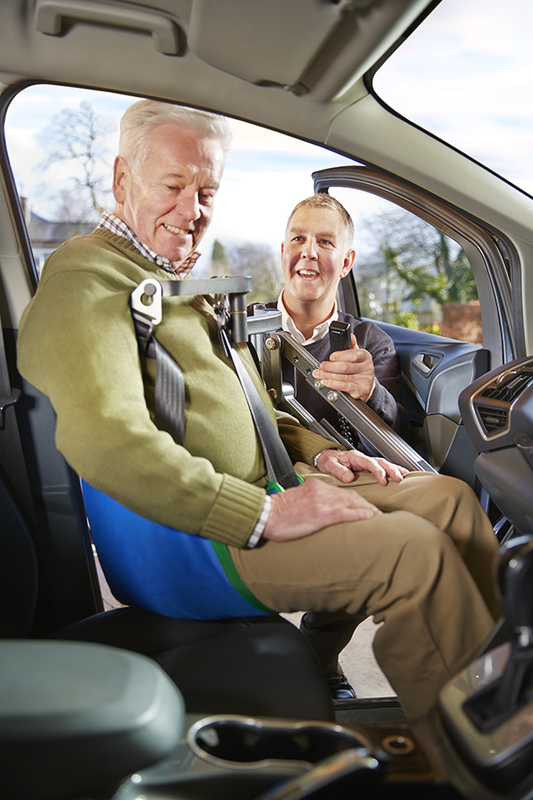 Our lift will lift you gently out of your wheelchair and lower you gently into either the driver or passenger seat.